Summer and Fall of 2015 will be spent cycling from Uzbekistan towards the Western coast of Africa, where the row across the Atlantic Ocean will begin. Use the navigation here to visit other years. Back in Sari after having spent the last 24 days in Tehran working on administrative paperwork with the Iranian authorities to prepare our crossing by kayak of the Strait of Hormuz. 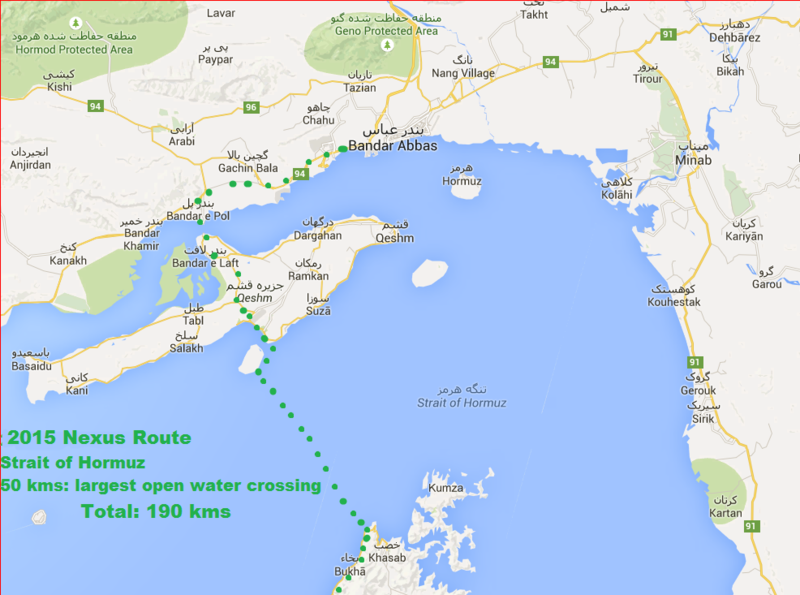 Tomorrow, we will start to ride 1400 kilometers on our bicycles towards the Strait of Ormuz. On our way we will cross the desert of Dasht-e-Kavir. Getting permissions from the Omani embassy to arrive in Oman by kayak. Federation of Iran, Iran Canoe and Rowing Federation. Getting fully medical tested, scanned, x-rayed and ECGed. We now want to thank each one of these organizations for their support and cooperation! We are finally able to reach a decision after having met today for a third time with the Iranian Ministry of Foreign Affairs in Tehran. 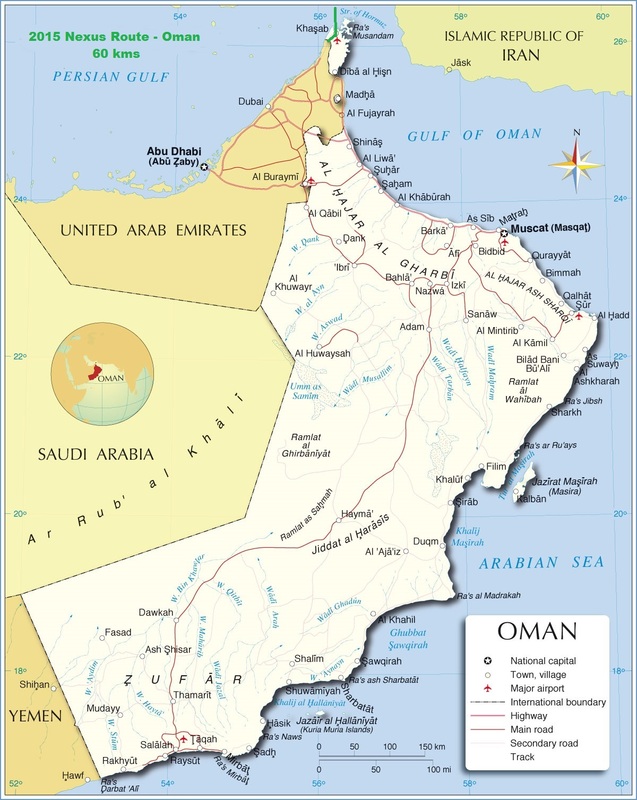 I was told indeed that I will “most likely” be allowed to kayak the approximate 50 kms across the Strait of Hormuz from Qeshm island to Khasab (Musandam Peninsula), Oman. In addition, after having been in contact with our fifth Saudi consul (so far 3 in Paris and 2 in Iran), we were also told that we have " a chance" to be granted the permission to cycle across the kingdom of Saudi Arabia, once we will get to Dubai, UAE. So, after taking all of these probabilities and risks in mind, we are now ready to take the plunge and choose our Southern route, which could lead us from Iran to Oman, UAE, Saudi Arabia, Jordan, Egypt, Sudan, Ethiopia and proceed further south through the Eastern coast of Africa. Quite enjoying the experience we are having while cycling through Iran. A very hospitable and fascinating land. We have already been in this country 40 days and hopefully quite a few more to go. Thinking of you all, wherever you are. This movie is a coproduction of Nexus Expedition and our friends at 1iOpen Productions. 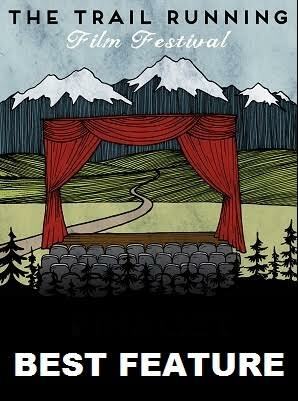 Our feature has also been selected by the Trail Running Film Festival to be part of their Fall 2015 North American Tour and will consequently been shown in 30+ cities over the next few weeks. Sept 19 New York City, NY SOLD OUT! Nov ?? Vancouver, BC Coming Soon! Nov ?? Victoria, BC Coming Soon! Not quite sure yet when it will be either available online and/or shown in Europe and elsewhere but we will keep you posted when that will become the case. من دیمیتری برنارد کیِفِر هستم. من یک شهروند فرانسوی هستم که در حال حاضر در میانه یک سفر با استفاده از نیروی انسانی به دور دنیا هستم که از لنگرگاه آلاسکا در فبریه 2005 شروع کردم و هم اکنون 17800 کیلومتر را طی کردم : 5000 کیلومتر را با پای پیاده در 6 زمستان و 12800 کیلومتر را با دوچرخه در 4 تابستان. از زمان حرکتم از آلاسکا شروع به پیاده روی کردم و بعد اقدام به پیاده روی، شنا و اسکی در مرز آبی سیبری شرقی و آلاسکا کردم تا در آپریل 2006 به روسیه رسیدم. سپس به اسکی کردن و پیاده روی و پیشروی در جنوب غربی ادامه دادم تا به اومسوکچان در ماگادانسکایا اوبلست در روسیه رسیدم. از آن به بعد همسر روسم گلنارا کیفر به من پیوست و به همراه هم در مغولستان، چین، قزاقستان، قرقیزستان، تاجیکستان، ازبکستان و ترکمنستان دوچرخه سواری کردیم تا در اول سپتامبر 2015 (اول شهریور 1394) به مشهد در ایران رسیدیم. در ایران ما قصد داریم تا حدود 1700 کیلومتر از شهر های سرخس، مشهد، قوچان، شیروان، بجنورد، گرگان، ساری، قایم شهر، تهران، کرج، قزوین، رشت را رکاب بزنیم و از مرز ایران و آذربایجان عبور کنیم و به سمت شهر آستارا برویم. اگر موفق به دریافت ویزای عربستان سعودی شویم، سپس در ایران 3000 کیلومتر رکاب خواهیم زد، به سمت جنوب و از شهرهای سرخس، مشهد، قوچان، شیروان، بجنورد، گرگان، ساری، قایم شهر، تهران، کاشان، اصفهان، شیراز و بندر عباس را عبور خواهیم کرد. در بندر عباس ما می خواهیم تا به وسیله قایق یا کایاک از تنگه هرمز عبور کنیم تا به کومزار در شبه جزیره موساندام در عمان برسیم. ما از اینکه بهتر از این نمی توانیم به زبان شما ارتباط برقرار کنیم عذر می خواهیم. با این حال امیدواریم که بتوانیم یکدیگر را درک کنیم! سپاس فراوان بابت مهمان نوازی و کمک های مهربانانه شما ...! Since we left Bukhara, Uzbekistan on August 12th, we have cycled through Turkmenistan and reached Mashhad in Iran on September 1st 2015. In Iran, we plan to cycle approximatively 1700 kms through the cities of Sarakhs, Mashhad, Quchan, Shirvan, Bojnud, Gorgan, Sair, Qaemshahr, Tehran, Karaj, Qazvin, Rasht and cross the Azerbaijan border in the town of Astara. 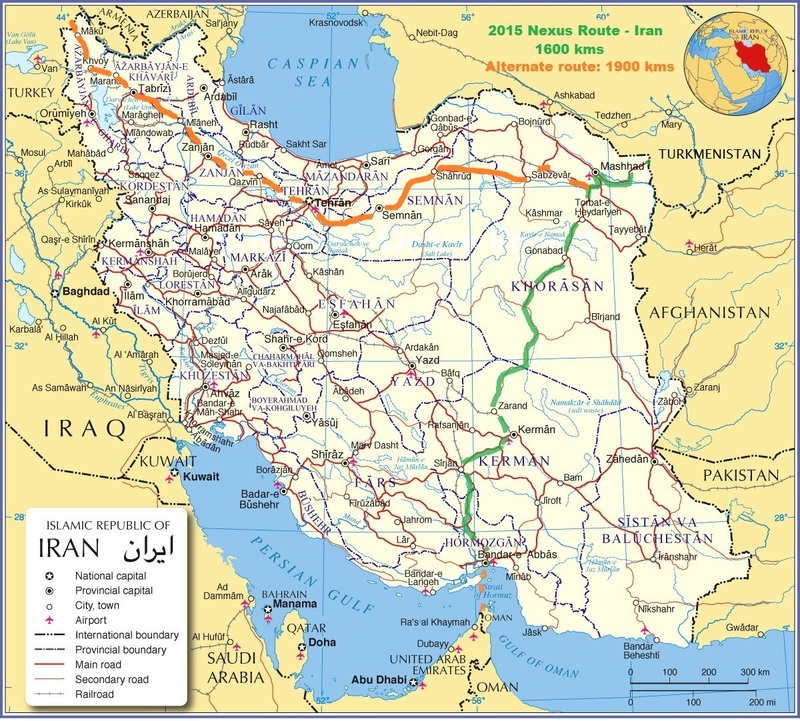 Note: If we are able to secure Saudi visas, we will then cycle 3000 kms instead, south through the towns of of Sarakhs, Mashhad, Quchan, Shirvan, Bojnud, Gorgan, Sair, Qaemshahr, Tehran, Kashan, Isfahan, Shiraz and Bandar Abbas. In Bandar Abbas, we will then row or paddle in a kayak across the Strait of Hormuz to reach Kumzar in the Musandam Peninsula in Oman. We apologize that we are not able to better communicate in your language. Nevertheless, hopefully, we will be able to understand each other! Thank you in advance for your hospitality and kind support! Meniň adym – Bernard Dimitri Kieffer, men Fransiýadan. 2005-nji ýlyň fewral aýynda ABŞ-nyň Alýaska ştatynyň Ankoriž şäherinde, ýörişde diňe adam mümkinçiliklerini ulanyp, men dünýä boýunça ekspedisiýa başladym. Häzirki wagtda men ýörişimiň ortasynda. Geçen wagtyň dowamynda 17.800 km ýol geçdim, olardan 4 tomusyň dowamynda 12.800 km welosipedde, 6 gyşyň dowamynda bolsa 5000 km pyýada geçdim. Syýahaty başlap, men Alaskany geçdim. Ondan soň ýüzdim, pyýada ýöredim we lyžada Bering bogazyny geçip, 2006-njy ýylyň aprel aýynda Russiýa ýetdim. Geçilen ýerler boýunça syýahaty günorta-gündogar ugurda trekking we lyžada dowam edip, Russiýanyň Magadan oblastynyň Omsukçan şäherine ýetdim. Şol pursatdan başlap, meniň aýalym Gülnara Kiffer hem goşuldy we bilelikde welosipedde 2014-nji ýylyň awgust aýynda Buhara şäherine ýetinçäk, Mongoliýany, Hytaý Halk Respublikasyny, Gazagystany, Gyzgyzystany, Täjigistany we Özbegistany geçdik. 14.08.2015 ýyldan, Alat-Farap BGN-dan başlap, Türkmenistany welosipedda geçmegi meýilleşdirýäris. Türkmenistanda jemi welosipedda 455 km geçmekçi, ýagny Türkmenabat, Merw, Mary we soňra Saragt şäherlerini geçip, Eýran Yslam döwletine geçmekçi. Türkmenistandaky syýahatymyzyň dowamynda birnäçe günüň içinde Garagum çölüni we Aşgabat şäherini görmegi meýilleşdirýäris. Бернард Димитрий Киффер родом из Франции. В феврале 2005 года в г. Анкоридж, штат Аляска США стартовала его кругосветная экспедиция Nexus c использованием только мускульный силы человека. На сегодняшний день Димитрием пройдено расстояние в 17800км, из них 12800км, передвигаясь на велосипеде за 4 лета и 5000км, пройдя пешком за 6 зим. С начала экспедиции он прошел Аляску, пересек Берингов пролив, достигнув России в апреле 2006 года, передвигаясь только пешком, на лыжах и вплавь. Продолжая путешествие пешком и на лыжах в юго-восточном направлении, он дошел до поселка Омсукчан Магаданской области, Россия. В Омсукчане к нему присоединилась его жена Гульнара Киффер, вместе они проехали на велосипедах через Монголию, Китай, Казахстан, Кыргызстан, Таджикистан и Узбекистан, до тех пор, пока не достигли города Бухара в августе 2014 года. В августе 2015 года они планируют продолжить экспедицию с Бухары, где остановились в последний раз и двигаться в юго-западном направлении через Туркменистан. В Туркменистан они планируют въехать на велосипедах 14 августа 2015 г. через КПП Алат- Фарап. В Туркменистане они проедут на велосипедах 455км, проезжая города – Туркменабат, Мерв, Мары и далее до города Серакс, где они пересекут границу из Туркменистана в Иран. В ходе путешествия по Туркменистану они также планируют посетить в течение нескольких дней пустыню Каракум и город Ашхабад. 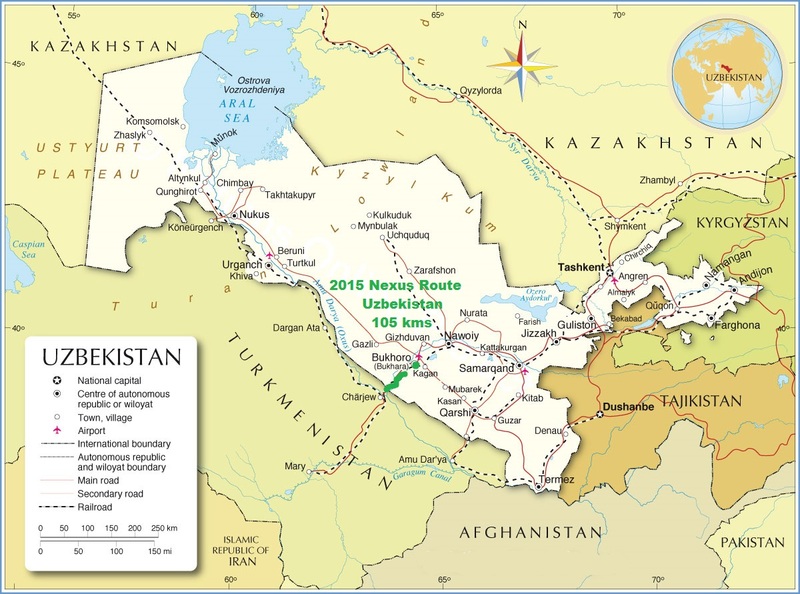 After a required very long hiatus which we have had to take for multiple administrative reasons, since we last stopped our route in Bukhara, Uzbekistan, on August 28th 2015, almost 11 months ago, we are finally getting close to resume our Nexus expedition! It has not been easy to secure all of the visas needed for the countries we are hoping to cycle through over the next few months, taking as well into account the combination of Gulnara's Russian passport and my French one! Indeed, since our current immediate goal is to reach, by human power, South Africa, to start the rowing across the Atlantic Ocean, we hope we will be able to travel via the eastern coast of Africa. But to be able to reach Eastern Africa the most directly, we first and foremost need to cross the Arabian Peninsula, while skipping obviously any country which are currently facing domestic wars and/or facing the threat of potential ISIS, al-Qaeda, or else, related kidnapping and/or murdering, especially in Yemen, Syria, Iraq and Libya. We spent the last two months in our respective native countries of France and Russia, where we have been already able to secure our visas for Uzbekistan, Turkmenistan, Iran, Oman. These are not some of the easiest countries to travel through as globetrotter Gunnar Garfors recently wrote in his blog: "The World's 15 hardest countries to visit": #4 Saudi Arabia, #9 Turkmenistan, #11 Uzbekistan. We also have secured visas for Kazakhstan and Russia, if for one reason or another, we are no longer allowed to cycle entirely across Iran, and therefore need to go around the northern side of the Caspian sea, via Kazakhstan, Russia and Georgia. We expect as well to be able to get while "on the road", the "easier" visas for the countries of United Arab Emirates, Jordan and Egypt. In order to obtain our visas, we have had to provide to either the Saudi, Iranian, Omani and/or Kazakh consulates, a multitude of documents and received an approval from each country Ministry of Interior. For example, the Saudis asked us to submit a notarized and certified letter by the French Ministry of Foreign Affairs justifying the legitimacy of our Nexus Expedition, as well as medical reports, copies of our wedding certificate, birth certificates and filled out applications where we were asked to share a large amount of personal information such as our religious affiliation. The Iranians asked us to disclose the complete list of all the countries we have ever visited, a proof of international insurance and a registration number provided by a travel company in Tehran. They also explained very clearly to each one of us, (at the Iranian consulate in Paris, France for myself and at the Iranian consulate in Kazan, Russia for Gulnara) that in no shape nor form we should hold the Iranian government accountable for any harm which could be done to us physically, materially or financially while crossing their country. Indeed, in the past, I have had to sign similar waivers with local authorities in order to be able to secure visas/permits to cross by foot remote parts of Russia (Chukotka) and the Wakhan Corridor in Afghanistan, which in the end, we had to skip because of Tajik administrative reasons. 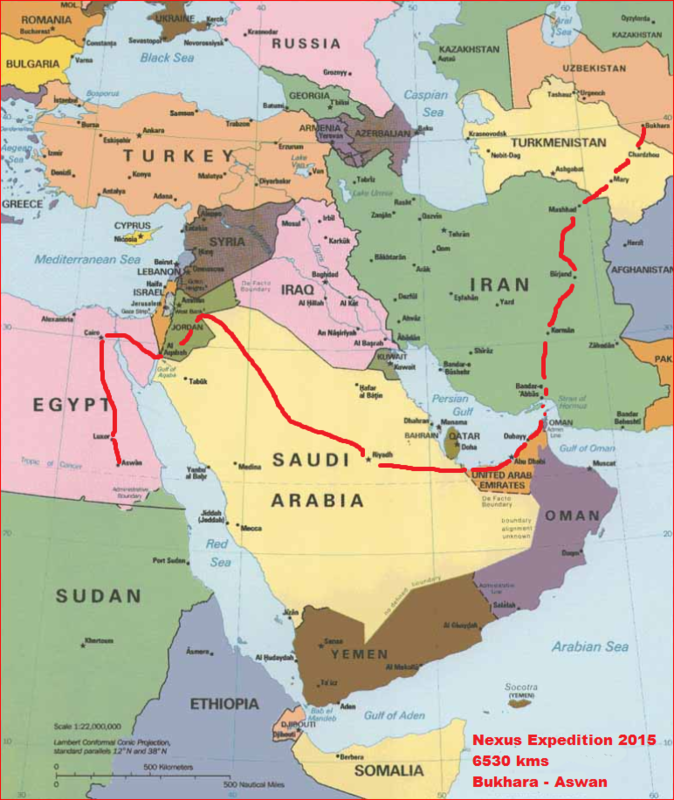 Now, the remaining main obstacle to secure our entire route to Egypt, is whether or not we are going to be allowed to cross Saudi Arabia by bicycle. Indeed, over the last two months in Paris, Gulnara and I have met with three subsequent Saudi consuls in Paris, whom thankfully, were all very supportive of our expedition. While in Paris, we were able to stay with my cousin Babeth Rouzeau who very kindly welcomed us in her apartment for such an extensive period of time. Being told to be extremely patient, we have, nevertheless, checked once or twice a week with the Saudi consulate in Paris for any further development, submitting additional documents when requested. The closures of the Saudi consulate during the month of Ramadan, as well as the large amount of pilgrims applying for visas for their Hajj to Mecca, probably did not help as well the expediency of our case. We have been told repeatedly that this was the first time they ever had, at this consulate in France, a request to cycle across the entire Saudi Arabia, and this is probably why it is taking so long to obtain an answer. Although, apparently, the legacy of Nexus Expedition with its 17,814 kilometers trekked, skied, cycled and swam since Anchorage, Alaska, has helped gain some legitimacy in the eyes of this consulate. Spending countless hours in the Saudi consulate in Paris over the last few weeks, we have seen a large amount of applicants been swiftly rejected because they did not properly "dot their i's and cross their t's" in their business visa applications or for their Hajj pilgrimage to Mecca. So, the fact that after two months, we have not been rejected yet, allow us to remain hopeful for a positive outcome. - In 2015, the Turk long distance cyclist Gürkan Genç. - In 2013, The American journalist Pulitzer prize winner Paul Salopek with his "Out of Eden" 7 years walk, sponsored by the National Geographic. "It took eight months of personally lobbying the royal family with the considerable leverage of National Geographic behind me. The only basis on which the Saudis agreed was that it was a cultural and scientific undertaking. I suggest writing to the Saudi embassy in your home country, and playing up the cultural value of your journey. Be persistent. It is a long process. " - In 2006, the German long distance cyclist Peter Smolka was allowed to pedal across Saudi Arabia from Egypt to Yemen on a 15 days Transit visa. At the time, apparently, the Saudi officials were extremely accommodating, they even provided to him a motorcade which escorted him the whole way and allowed him to cycle the entire distance. - Date unknown: Extract from travel forum Tour.TK: " We have met a Japanese cyclist who cycled through Saudi Arabia on a transit visa. He entered from Yemen and exited in Jordan. Transit visas are only issued if you can prove that there is no other way to get to where you want to go, than by traveling through the Kingdom of Saudi Arabia." At that point, we will revise our route and maps, and shared it on this site. But for the time being, here is the plan which we are excited to share with you! We are scheduled to return in Bukhrara, where we last stopped on July 31st 2015. There, we plan to spend a few days regrouping our gear and tuning our bicycles which we were kindly allowed to store in the Nazira and Azizbek guesthouse over the last 11 months. If time allows, prior to resuming the expedition, we would like to take the opportunity to venture out west in order to visit the ancient city of Khiva, the Karapalkastan region and the Uzbek side of the quickly vanishing Aral Sea. 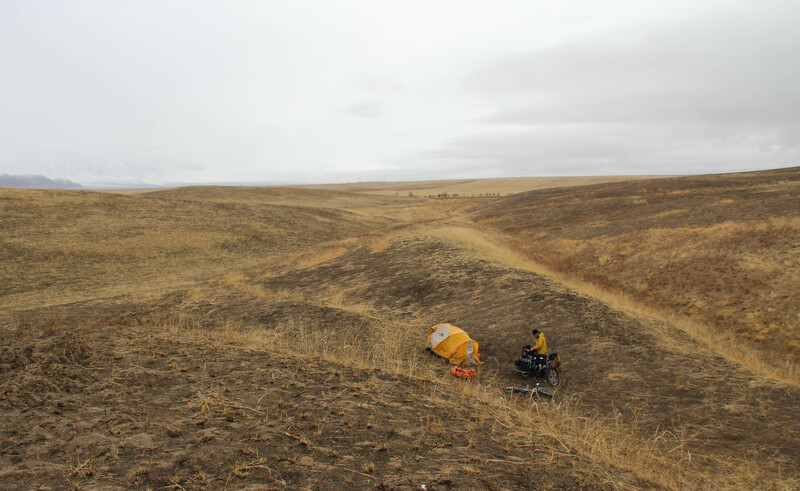 From there, back in Bukhara, we will cycle 105 kms southwest and cross the Uzbek-Turkmen border between Alat (Uzbekistan) and Farap (Turkmenistan). Turkmenistan is one of the most reclusive countries in the world, let alone in central asia. Therefore it can be quite complicated to secure a visa to cross this country freely. In addition, we were told that Gulnara, as a Russian citizen may even have a more difficult time to secure a tourist visa to be able to cross this ex-Soviet state, which is keen on showing its independence from its ex colonial Slavic ruler. - A 5 days transit visa to quickly cycle the shorter distance across the country of 455 kms of windy desert roads with our laden expedition cycles, in high 30's Celsius temperatures. - A 10-15 days tourist visas, where we can somewhat cycle freely but are requested to hire an escorting "guide" with whom we need to be in contact on a nightly basis. Having heard of a few rare cases, where cyclists were given an exceptional transit visa of 7-10 days, we decided to get in touch with the Turkmen consul in Paris, with whom we met twice. "7 days, ludicrous! you are lucky to get 5! I could cycle the whole thing myself in 2 days!" 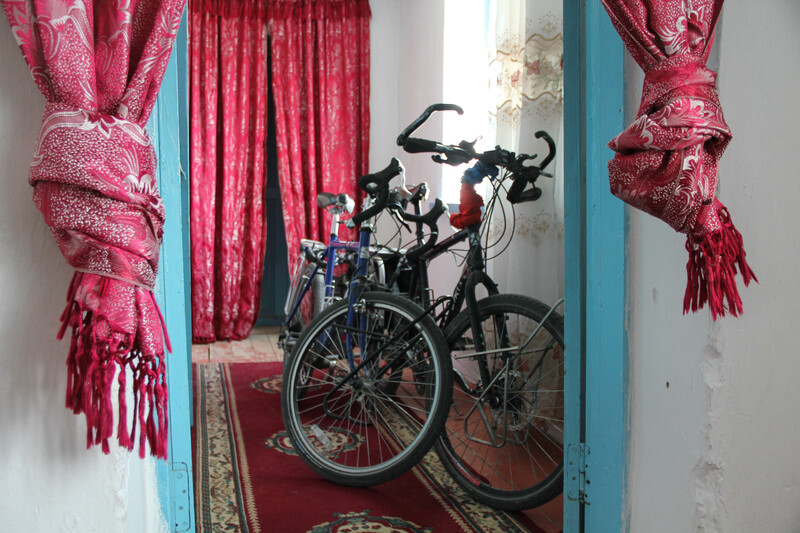 We recalled then that we heard from french contacts we met on the Pamir Highway in Tajikistan, last summer, that they had a great experience cycling through Turkmenistan while being required to meet on a nightly basis with their guide Artem Gubaev and his company Travel Notoria. We contacted Mr Gubaev and this is how we have decided to secure our tourist visas, allowing us to not only cycle through this country (via the towns of Turkmenabat, Mary, Saraghs) but also to take the time to visit intriguing sites such as the capital Ashgabat and the Crater of Darvaza, also known as "The Door to Hell". This is not going to be the cheapest solution to cross Turkmenistan but at least it will give us ample time along our way to see what seems to be such a fascinating country. 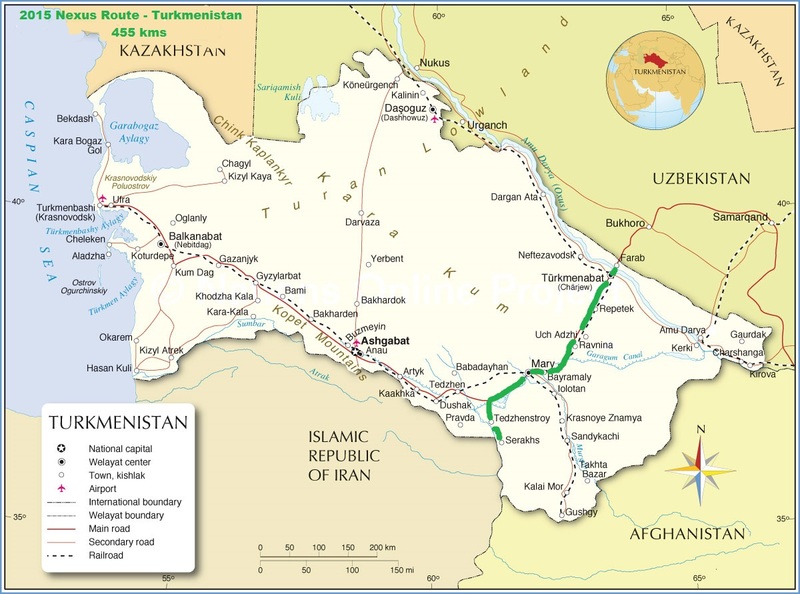 After that, we plan to leave the country through the Turkmen-Iranian border crossing of Saraghs (Turkmenistan) – Sarakhs (Iran). We have found recently that it is not allowed to enter Turkmenistan with a Satellite Phone. To secure our Iranian visa, we worked with the company Iranianvisa.com. In Iran, we plan to cycle approximately 1600 kms, south through the towns of Sarakhs, Mashhad, Torbat-e-Heydariyeh, Gonabad, Ferdows, Deyhuk, Nayband, Ravat, Kerman, Bardsir, Sirjan, Gahkom and Bandar Abbas. This route has been marked in Green on the map, attached below. In Bandar Abbas, we plan to row in a rowing boat or paddle in a kayak across the Strait of Hormuz to reach Kumzar in Oman. 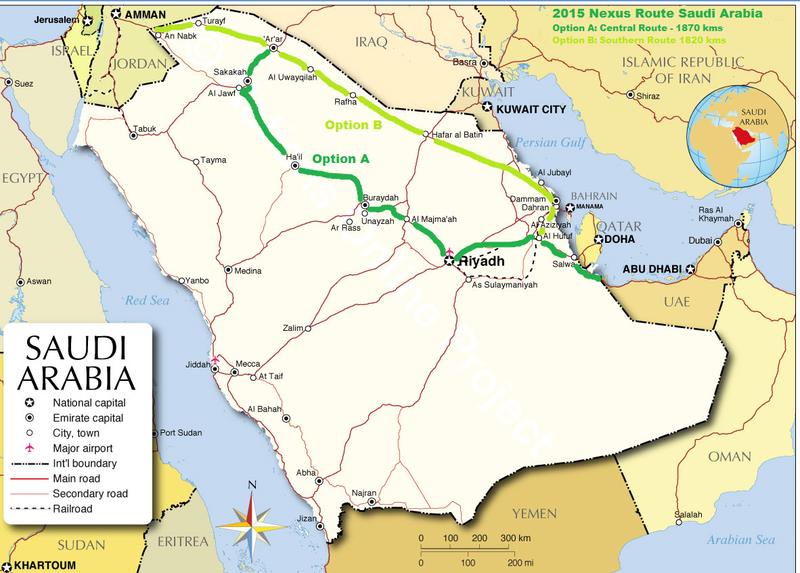 If we are not able to secure Saudi visas, we will then have to find an alternate route to continue our expedition and that is the 1900 kms alternate route marked in orange on our map. Through the cities of Sarakhs, Mashhad, Sabzevar, Shahrud, Semnan, Tehran, Qazvin, Zanjan, Mianeh, Tabriz, Marand, Khvoy, Maku and finally cross the Iranian Turkish border in Gurbulak. We plan to enter Oman by water after having either kayaked or rowed across the strait of Hormuz, coming from Bandar Abbas in Iran. 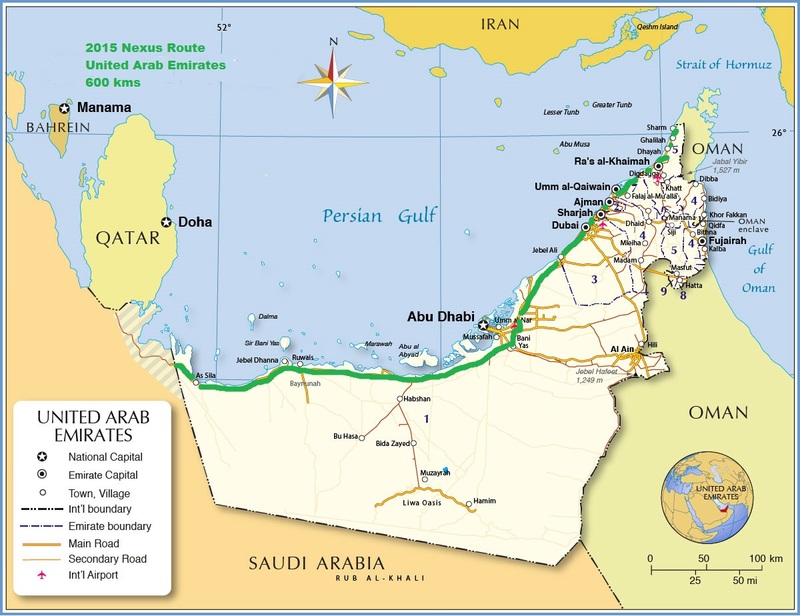 We plan to land near either the towns of Bukha or Kahsab in the Musandam peninsula and cycled afterwards 45 kms through the Musandam peninsula to the Oman-UAE border crossing towards the Saudi town of Ras al Khaimah. 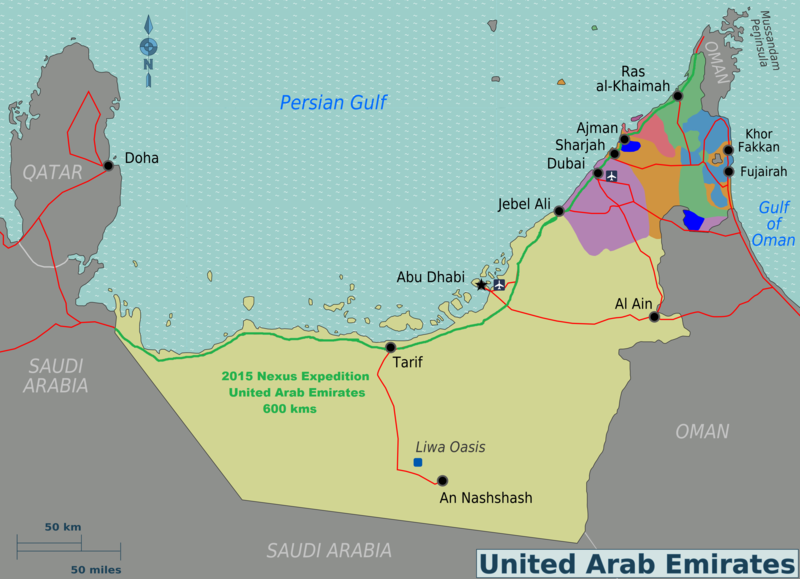 We plan to enter the United Arab Emirates through the Oman-UAE border crossing of Bukha/Musadam (Oman) - Ras Al Khaimah (United Arab Emirates). While in the United Arab Emirates, we plan to cycle 600 kms through the towns of Ajman, Sharjah, Dubai, Jebel Ali, Abu Dhabi and Tarif. We plan to leave United Arab Emirates through the border crossing of Al Ghuwaifat (United Arab Emirates) – Al Bat’ha (Saudi Arabia). We plan to enter Saudia Arabia through the UAE-Saudi Arabia border crossing between Al Ghewfiat (UAE) and Al Bat’ha (Saudi Arabia). A. Cycle approximately 1870 kms through the Central route. 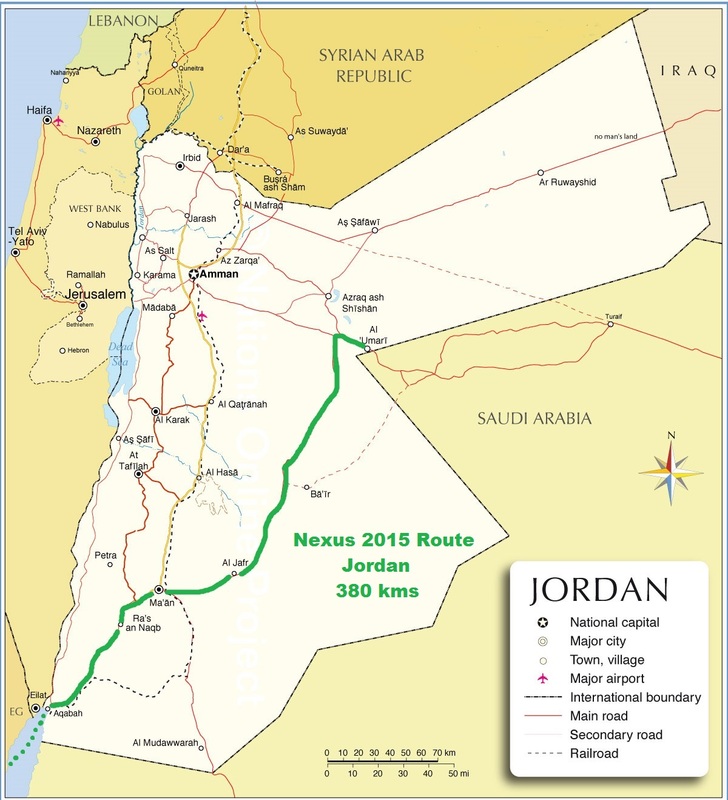 Through the towns of Al Kharj – Riyadh – Al Majmaah – Buraydah – Abu Ajram and Al-Qurayat where we will pass the Umari Border Crossing to enter the country of Jordan. B. Cycle approximately 1820 kms through the Northern route. Through the towns of Al Hofuf, Nairyah, Hafar al’Batin, Rafha, Arar, Turaif and Al Qurayyat where we will pass the Umari Border Crossing to enter the country of Jordan. "My Kingdom will survive only insofar as it remains a country difficult to access, where the foreigner will have no other aim, with his task fulfilled, but to get out." - an engineer or equivalent, invited by a company to come and work in the oil/gas/construction/manufacturing industry. - a teacher/ professor invited by a university/school. - a Muslim going to either Mecca and/or Medina on your Hajj / Pilgrimage. The Hajj visa also usually limits your visit to the holy cities of Mecca and Medina, (which only Muslims can visit). It does not allow anyone to freely cycle across the entire country. - an overland traveler, crossing the country in his car, and for which he might be able to receive a 3-4 days transit visa. It is very difficult to obtain a transit visa for a longer period of time. One needs to follow a proper dress code to be allowed to cross the country by bicycle. Men can wear bicycling shorts while riding but need to put on pants when they stop. Women need to wear an abaya and probably need to cover their hair. Saudi regulations are currently changing and more women are now allowed to cycle, as long as they are in company of a man. If anyone ever plan to enter the kingdom of Saudi Arabia, it is also highly recommended to show that he/she have no affiliation whatsoever with the state of Israel. Finally, the current situation in neighboring Yemen, turmoil in Bahrain and recent arrests in Saudi Arabia does not help anyone, by any means, getting a tourist visa for Saudi Arabia. We plan to enter Jordan through the Saudi Arabia - Jordan border crossing between Al Hadithah (Saudi Arabia) and Al Ghadaf (Jordan). In Jordan, we plan to cycle approximatively 400 kms, south through the towns of Al Umari, Al Jafr, Maan, Ras An Naqb and Aqaba. 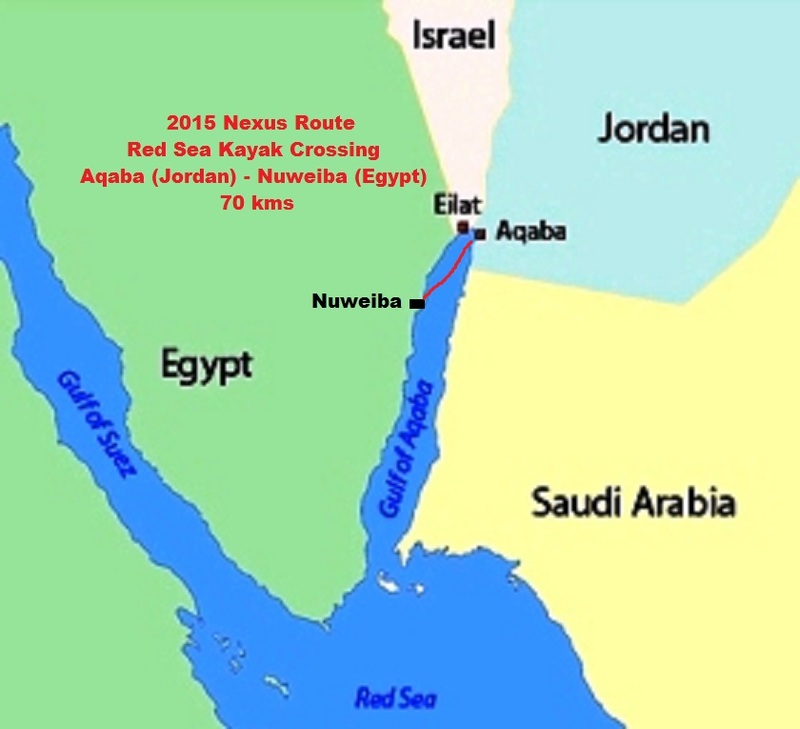 In Aqaba, we plan to row in a rowing boat or paddle in a kayak across the Red Sea to reach Nuweiba in Egypt. 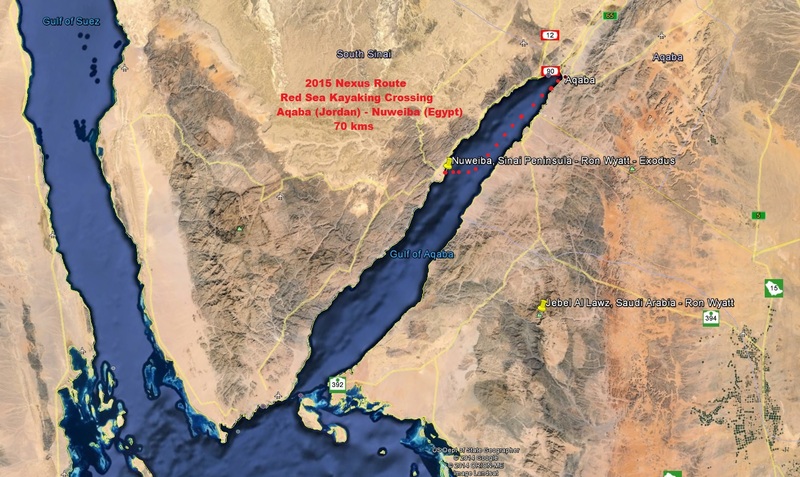 We plan to enter Egypt after having either kayaked or rowed through the Red Sea, coming from Aqaba in Jordan. We plan to land in the town of Nuweiba and afterwards cycle 1280 kms through Egypt to the border crossing South of Aswan on Lake Nasser. 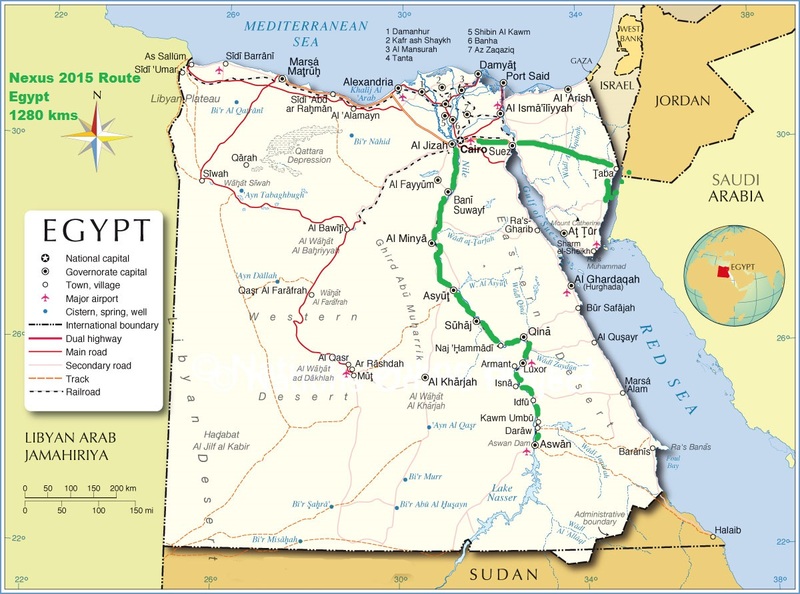 We plan to cross the towns of Nuweiba, Taba, Suez, Cairo, Al Jizah, Al Minya, Asyut, Suhaj, Qina and Aswan. In Aswan, we plan to row in a rowing boat or paddle in a kayak across the Lake Nasser to reach Wadi Alfa in Sudan. Turkmen guide Artem Gubaev and his company Travel Notoria. Iranian company which helped us secure our Iranian visa.